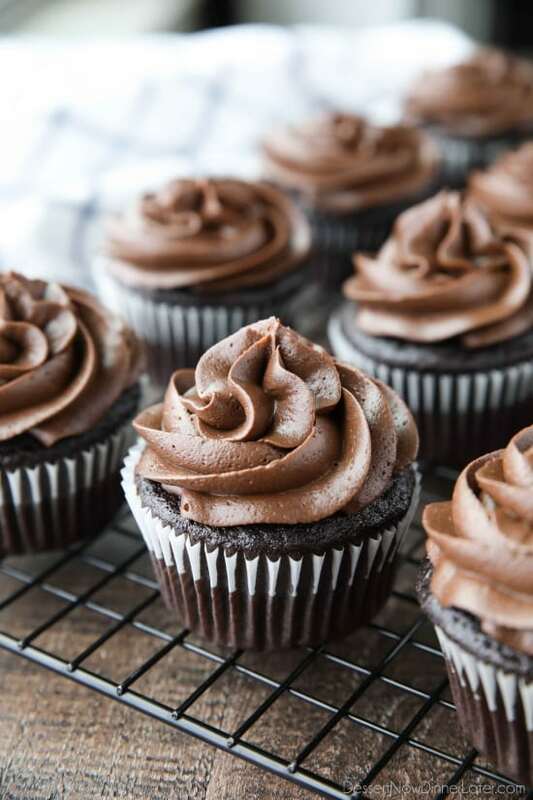 Chocolate Cupcakes Recipe - Dessert Now, Dinner Later! 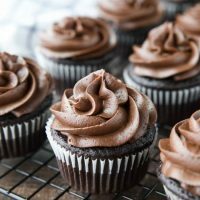 This basic homemade Chocolate Cupcakes Recipe creates the best rich, moist, tender cupcakes and is easy to make. A classic done right! 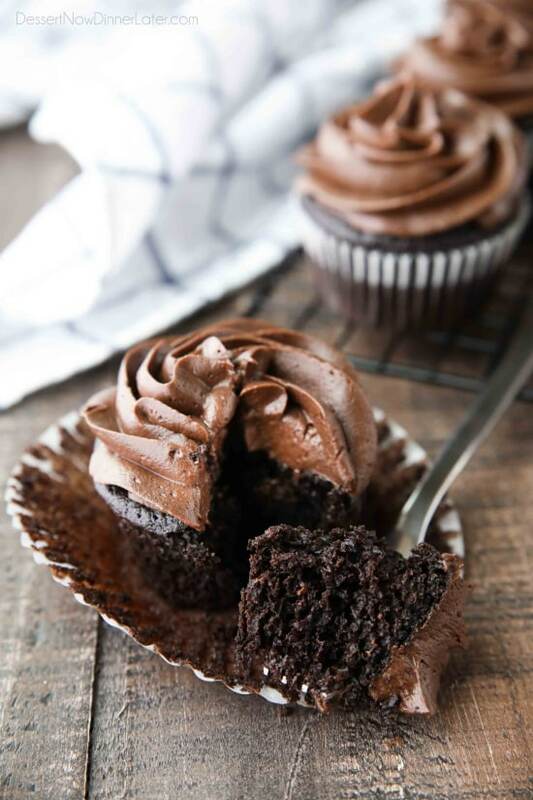 Everyone needs a basic chocolate cupcakes recipe in their back pocket and this one is classically simple and delicious. 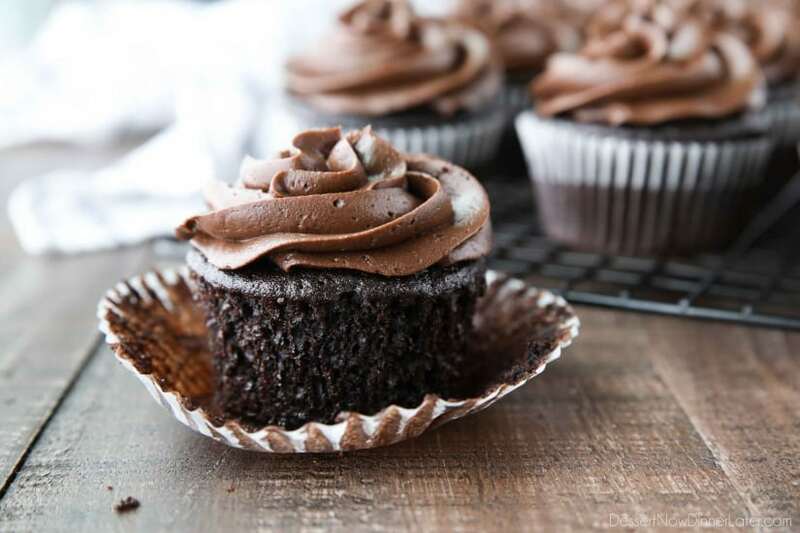 This chocolate cupcakes recipe is almost as easy as a store-bought mix. The dry ingredients are sifted together to make the cupcake soft and tender to chew. I recommend these large round sifters that I used in bakeries to make sifting quick and easy. TIP: Sift ingredients onto a piece of parchment paper. Then bring both ends together to create an easy pour spout to empty the contents. Then you mix in an egg, oil, vanilla, and milk. Lastly boiling water is added to bloom the cocoa and boost the chocolate flavor. Hot coffee can also be substituted in place of the hot water for added richness. This chocolate cupcake batter will be thin, so don’t be alarmed. 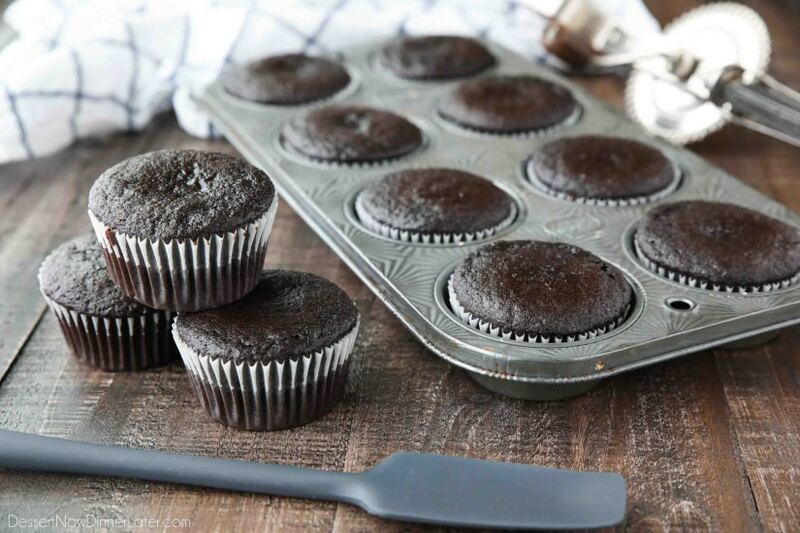 One of the most important factors in getting nice cupcakes is to not overfill the cupcake liners. It is especially important with a thin batter like this one. You can see through the liners I used, that I filled mine about 2/3 full, just over halfway full. They had risen to the top of the cup, without spilling over during baking. 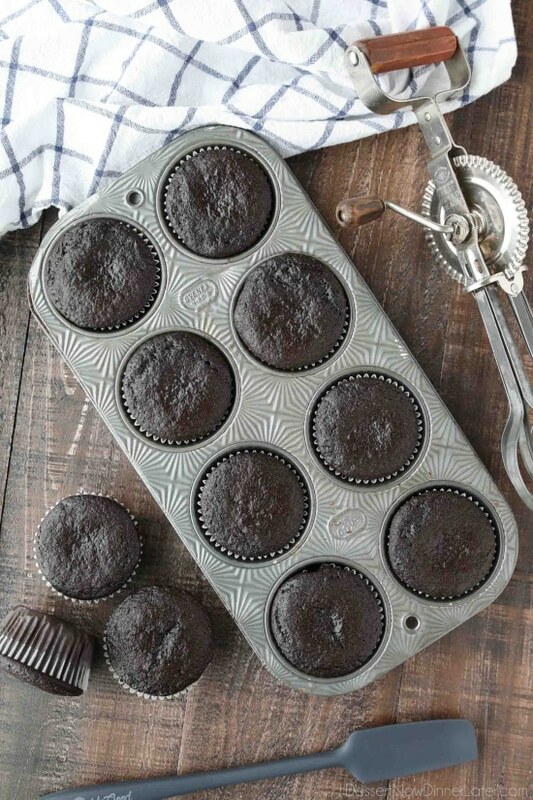 As much as you want that perfect 12 cupcakes only recipe, it is better to have a couple of extra cupcakes, than a huge mess in your oven and cake stuck to your muffin tin. Do not overfill your cupcakes! 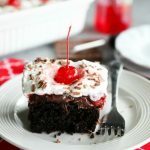 I used my Chocolate Cream Cheese Frosting to top these with and it was a heavenly and decadent combination. A great cupcake for birthdays or any get together. Add the egg, milk, oil, and vanilla. Stir until incorporated. Heat 1/2 cup of water in a large glass measuring cup in the microwave until boiling (1-2 minutes). Pour boiling water into batter and mix until fully incorporated. 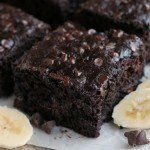 The texture of the batter should be consistent throughout. Batter will be thin, but shouldn’t have watery spots. Fill prepared cupcake liners 2/3 full (just barely over halfway full). Do NOT overfill. 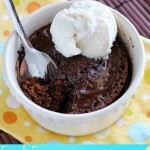 Bake for 20-22 minutes. To test doneness — a toothpick will come clean out of the center or the cake will spring back when touched. Cool completely and decorate with desired frosting. 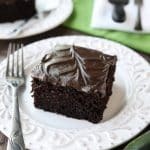 I used this Chocolate Cream Cheese Frosting. *I like to use half regular cocoa and half dark cocoa for a richer and darker looking cupcake. *To make this recipe in high altitudes, I suggest baking at 350 degrees Fahrenheit and increasing the temperature to 375 degrees Fahrenheit the last 5 minutes of baking.